Six public health regions compete in an interconnected world to improve their population’s quality of life. How will you take up the challenge, in circumstances where resources are limited and situations are constantly changing? Disease outbreaks might occur and populations’ needs might change. How can you generate funding? What is your strategy? How does your neighbour’s strategy affect your situation? The game starts with a short introduction of the rules. 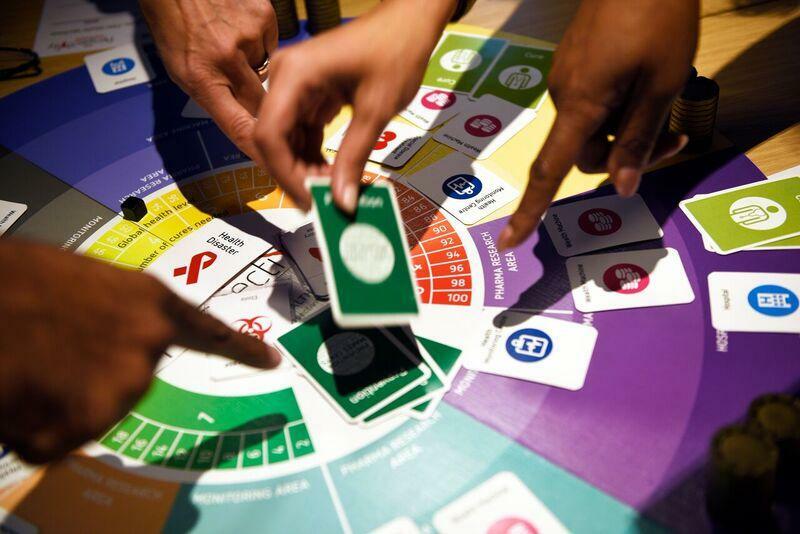 Each game board has six regions, who represent the decision makers of their health economy. The goal of the game is to maximise your Quality of Life Years (QLY). The game itself has 8 rounds. Each round starts with a trading period where regions can purchase from the bank and then an administration round. After round 3 & 6 there is also a negotiation round where players can discuss the current situation and strategies for the next rounds. When the rounds are done, the game is finished with a debrief that ties together and reflects upon the lessons from the game. The world is becoming increasingly complex and this calls for appropriate tools on how to deal with the world’s commons. The Public Health Challenge aims to provide players with insights into the dynamics at play and to stimulate reflection on collaboration between different players with different interests and perspectives. The game is influenced by the Perspectivity Climate Challenge and uses Kolb’s experiential learning theory to underpin the approach. With this inspiring learning tool, players experience the realities of complex decision-making using an interactive board game. Players are given a realistic scenario to make decisions to improve public health, bringing textbook theories to life. 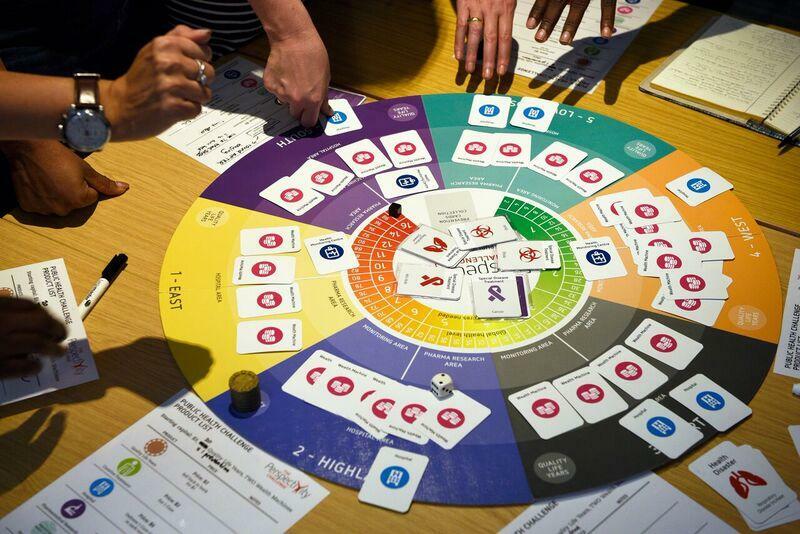 This board game challenges players to experience the dilemmas of solving complex problems, to face the struggle of balancing scarce resources while maximizing improved health, and to gain insight into their own behaviour and that of others. It exposes players to broader systems thinking and encourages new approaches to tackling complex situations. It allows players to develop new skills to support transformation and team building. In this way, it can uncover team characteristics and strengths and inspire thinking through a different lens. Dalya Marks and Rachael Meikle have taken the initiative for the development of the Public Health Challenge. Dalya teaches at the London School of Hygiene and Tropical Medicine and Rachael has a background in public health in New Zealand.